The Lone Star State hosts many volleyball teams like the Texas Longhorns volleyball team. If you are in love with volleyball, nothing can improve your skills and give you the chance to practice in a perfect atmosphere quite like volleyball camps in Texas can! Whether you are just starting out in the sport or are a veteran player hoping to play for pro teams, volleyball camps can help you achieve your goals. Practice fundamental skills and learn new techniques to help you excel at the sport you love. Sports Camp Connection is here to connect you to the right TX state volleyball camp that will meet all your needs. Find all the information you need about east and north Texas volleyball camps here for free, start your search now! The Texas Christian University Women's Volleyball Camp located in Fort Worth TX offers youth athletes an amazing opportunity to learn from top conference coaches and staff. Come experience Horned Frogs Volleyball and take your game to the next level. Request more information today! Join Olympic Gold Medalist Pat Powers at VBClinics Volleyball Camps at the Volleyball Institute of Plano in Dallas, TX. VBClinics offer two-day volleyball camps for junior high volleyball players and high school volleyball players. Come improve your game at one of the top summer volleyball camps in the country! Texas Volleyball Camp offers a variety of individual camps for female athletes of all ages and abilities. Texas Volleyball is synonymous with success. Head coach Jerritt Elliott now offers his training techniques at the Texas Volleyball Camp in Austin, TX. The Baylor University Women's Volleyball Camp located in Waco TX offers youth athletes an amazing opportunity to learn from top conference coaches and staff. Come experience Bears Volleyball and take your game to the next level. Request more information today! The Texas Tech University Women's Volleyball Camp located in Lubbock TX offers youth athletes an amazing opportunity to learn from top conference coaches and staff. Come experience Red Raiders Volleyball and take your game to the next level. Request more information today! The Texas A&M University Women's Volleyball Camp located in Commerce TX offers youth athletes an amazing opportunity to learn from top conference coaches and staff. Come experience Aggies Volleyball and take your game to the next level. Request more information today! Join Olympic Gold Medalist Pat Powers at VBClinics Volleyball Camps at the Factory of Champions in San Antonio, TX. 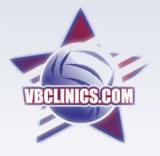 VBClinics offer two-day volleyball camps for junior high volleyball players and high school volleyball players. Come improve your game at one of the top summer volleyball camps in the country! The University of Texas at Austin Women's Volleyball Camp located in Austin TX offers youth athletes an amazing opportunity to learn from top conference coaches and staff. Come experience Longhorns Volleyball and take your game to the next level. Request more information today! 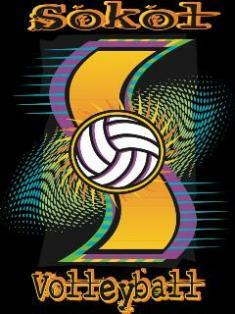 Sokol Volleyball Camp is designed to help you become a stronger player with stronger fundamentals. For 30 years, players have been attending and returning for fun, games and great training. You won't find a better training environment for maximum player feedback. Don't miss your opportunity to be a part of the Sokol Volleyball experience. The Premier Girls Volleyball Camps will be conducted by an outstanding group of girls High School, Secondary and club volleyball coaches from the Dallas Fort Worth area. The Premier Volleyball Camp takes great pride in carefully screening each coach instructing the camp. 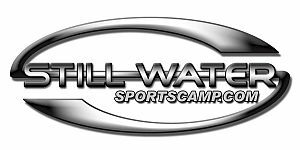 The Still Water Christian Sports Camp experience focuses on mind, body, and soul. Our Co-Ed Rookie Camp provides an environment where young athletes can be coached and equipped with multi-sport development and personal growth.